Special thanks to Judith and Emily who offered up valuable advice on the curtain project. 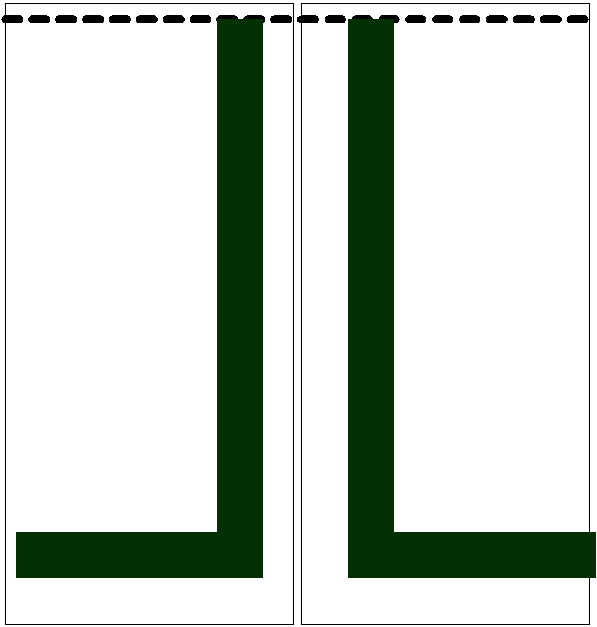 I am still hoping to do this is some sort of economical manner, by achieving two side-by-side panels out of my fabric width, but I will heed their wisdom and maximize the width of my panels. Although I really like the linens at the vendor I contacted, I might have to see if I can find something wider elsewhere because I don’t want to either seam or end up with gobs and gobs of left-over yardage. But then again, there’s shrinkage. I know linens shrink, some more in length than width, others evenly in both directions. I am going to have to experiment by washing a swatch prior to final planning just to confirm final ratios. To figure out how large my motifs would be on each of these I do a bit of math, using my first choice design’s measurements – 53 units tall x 308 units long for one full repeat. Note that I’m figuring to do my stitching over blocks of 2×2 threads, so on 28 count, I would be performing 14 stitches per inch (and people whine that 7spi in knitting is too tiny to see!) Also note that I’m taking the variance between the warp thread count (the direction running the long way of the yardage) and the weft count (the direction from selvage to selvage). As much as I adore stitching at tiny gauges (50 thread count is normal for me), the thought of working these curtains at anything higher than 32 is – even for me – just plain nuts. Especially when you consider that in a curtain of about 71 inches long, I’m planning on producing a stitched piece that’s about 60 inches long, and I’m planning on making four identical panels. In 28 count, that’s a bit less than three full repeats of my 308-unit motif. At the same time, I don’t like embroidery at bigger gauges either. I’m too spoiled by the grace of these patterns done on finer scale. Using this yardstick, Flax Canvas comes out as the best choice – just at the borderline between too coarse (Craftsman) and too fine (Raw Linen/Belgian linen). And ratio? Squareness or distortion of the final design, considering that I’d be working on non-evenweave stuff? By looking at the thread count ratios (warp count/weft count) I can see that the largest distortion would be using the Irish Linen (factor 1.25); and the least using Craftsman (1.11). The Flax Canvas works out at a 1.16 skew ratio. I’d have roughly almost 12 stitches across the fabric for every 10 up and down. Not great, but not horrible either. But then we come to the last and first problem. Of the fabrics available from this source, Flax Canvas is the narrowest on the bolt at only 52 inches wide. And my Curtain Advisers have suggested that more fullness is better. As much as I like these fabrics, I may need to go back to the drawing board and find another source of beautiful, affordable, but wider linen. Suggestions would be very welcome. Have you thought of embroidering the border onto a panel then stitching it onto a finished curtain? That way you could use the exact stitch count and quality fabric that you need for the embroidery and a thicker or what ever quality and size linen for the curtain panel. Also it might mean that you could detach the embroidery if you ever needed to wash the panels. I feel sure that you must have discount warehouses for linens/fabrics in the US to be able to get reasonable priced and serviceable material. The sort of linen I have used is unbleached and unwashed so yes it will shrink but you can cut it with a generous allowance then wash before you stitch it up to window size. It is often the linen that is used to print curtain panels on so it is sold as surplus to use or as offcuts or occasionally as use for theatre designers! 54" is one of the widest I have seen here in the UK. Do investigate Interlinings as a help for stability between the curtain and the lining, as they may help with the sun fading and the thermal properties of your curtains. They are usually a thicker fabric but then again you could just use a cotton.